When you have one or more indoor pets, you might think that you'll keep those animals inside at all times. Whether you take your dog for a walk or take your cat to the vet though, you may find that those animals spend more time outside than you expected. You can rely on some great tips to keep your indoor pets safe each and every time they head outside. You should register any pets you have, even if you think those animals will always be inside. 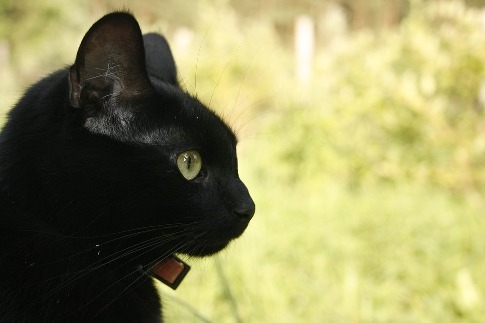 When your pet gets out through an open window or door, the information on its collar will help others find and return that animal back to you. Breakaway collars designed for cats ensure that your kitty doesn't get trapped because the collar snagged on a branch or fence. You should also microchip your pets and update the chip as your contact information changes. Any insects or pests living outside your home can potentially make your pets sick. That is why you should use the right products to kill those insects. With organic tick control products and similar supplies, you can kill the ticks and other insects living in your garden or on your lawn. Dogs and cats can pick up ticks when they take a walk through the lawn. Those insects will then feed off the animal. When you use the right products to control the insect population outside your home, you can keep your pets safe and healthy. You should also consider installing a fence around your yard. A fence comes in handy when your dog wants to go outside but you don't want to grab your shoes or jacket. You can let the dog run around freely without it escaping from your yard. In addition to traditional fences, you can use an invisible fence that limits where your dog can go while outside. No matter how much time your indoor pets go outside, you can take steps to keep them safe each time they step foot outside your door.